The Instagram app doesn’t allow you to save to stories of other users. So if you want to watch them as many time, you can enjoy until the story time expires. The story of Instagram lasts for 24 hours from the time of posting. What to do if you want to see the picture or video of the story again and again? Don’t worry you can save the Instagram stories of your friend right in your iPhone and enjoy until your heart gets filled up with it. However, you cannot save the story using the official Instagram app. You will need to take help of the third-party application. For India: It might be possible that Story Reposter is not available in your App Store if you are a citizen of India. 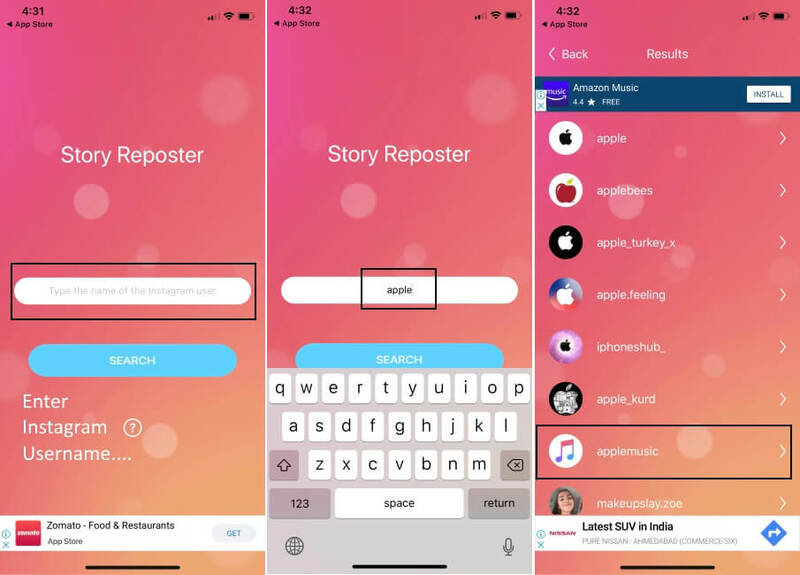 For them, we are suggesting to download Repost Story for the Instagram app in your iPhone to save Instagram stories in iPhone. 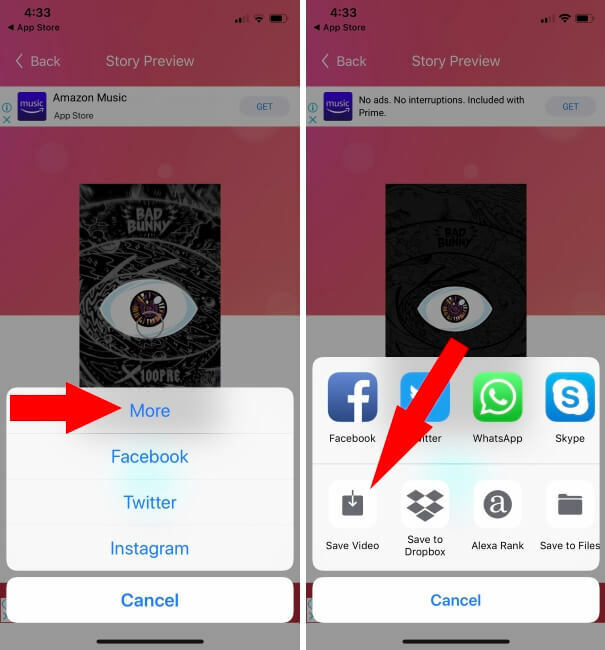 how to save another person’s live Instagram story on the iPhone? here’s the solution. Step #1: Launch the App Store in your iPhone. 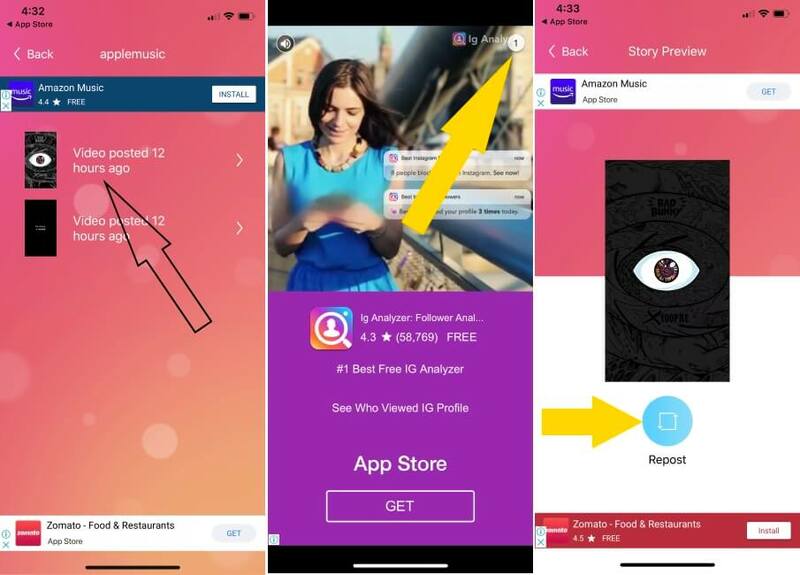 Step #2: Search and download “Story Reposter” app in your iPhone. Step #3: Once the app gets installed open it. Step #4: Tap “Close”, to avoid the guide. Step #5: In the search, panel type the username of the Instagram user of which you want to download the story. Step #6: Select the Instagram account to download story on iPhone. Step #7: Tap on the story, which you want to download. Step #10: Select “Save Image/Video”. To access the saved story or video of the Instagram story, open the Photos app in your iPhone. You can easily view them in Camera Roll anytime anywhere. Note: If you are trying to download the story of a private account, then unluckily you can’t save them. This is the only downside of Story Reposter app. Download or Save IG Story on iPhone and iPad. For Repost, Offline play and use in another social app. Instagram is the most popular way to advertise your product, and also people use it to share their life experiences. use it positively, take care of responsibility.